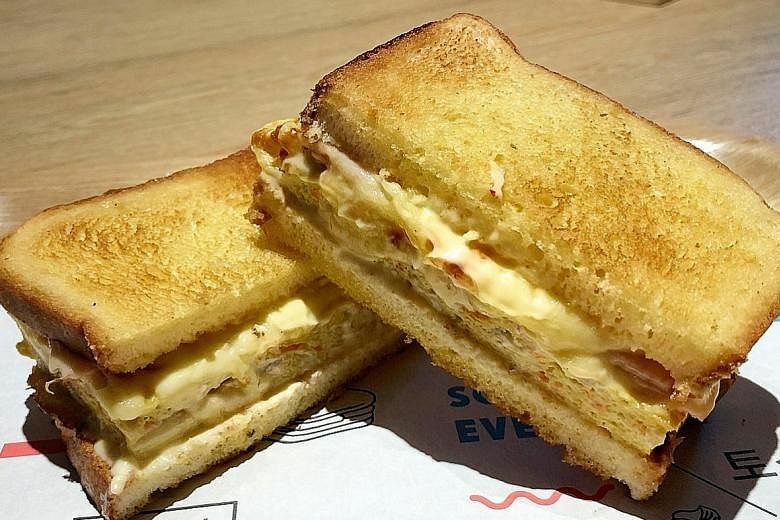 SINGAPORE (THE NEW PAPER) - I have been pretty smug of late because I think I have found the formula for the perfect grilled cheese sandwich. I shove as much aged Gouda, Gruyere and Stilton as I can between two lavishly buttered pieces of bread, and toast it until everything is a gooey, Instagram-worthy mess. But my ego took a beating after I tried some of the sandwiches at Seoul In A Sandwich, a new concept from Seoul Garden Group. You got to give the chain props for being one of the first to bring Korean cuisine to the masses back in 1983. Today, you can't turn a corner without walking into a Korean eatery, bar or supermarket. Seoul Garden Group is reinventing itself and it does so admirably with this restaurant. 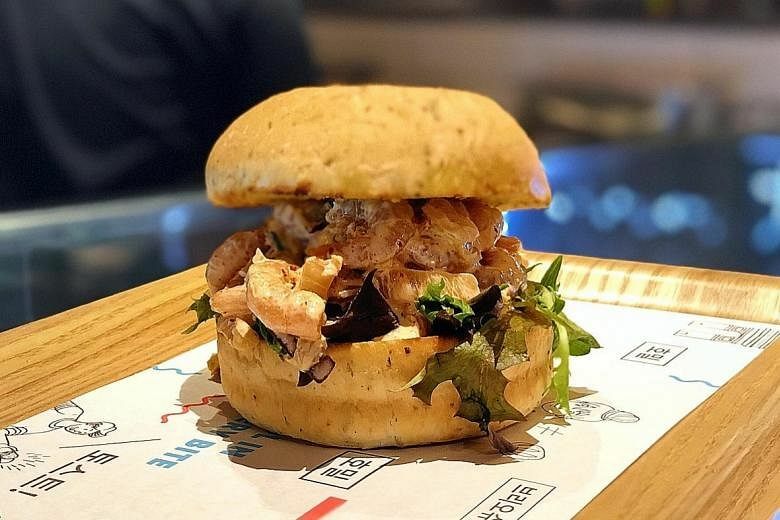 While it is not much more than a counter in the basement of a mall, Seoul In A Sandwich is having its moment on social media - and it is worth the hype. It is full of clever, inexpensive sandwiches that are as pretty as they are tasty. Before I tried them, I thought the most exciting thing about the newly reopened Century Square was the appearance of a Foot Locker. Now, I am excited about two things there. For people who love Korean food, the flavours will be familiar. Everyone that tried the Army Stew-ich ($8.50) told me Seoul In A Sandwich managed to duplicate that army stew sensation into a sandwich. I was sceptical but was proven wrong. At first bite, it did taste like I had dug deep into a pot of stew. Perhaps it was the kimchi sauce that gave it the edge. The place mixed cheddar and mozzarella with kimchi bits and came up with the Kimchi Grilled Cheese ($5.50). I was impressed with how the kimchi made the creaminess of the cheese pop, and I am stealing that idea, so when you see a picture of it on my Instagram Stories, you will know where I got my inspiration from. 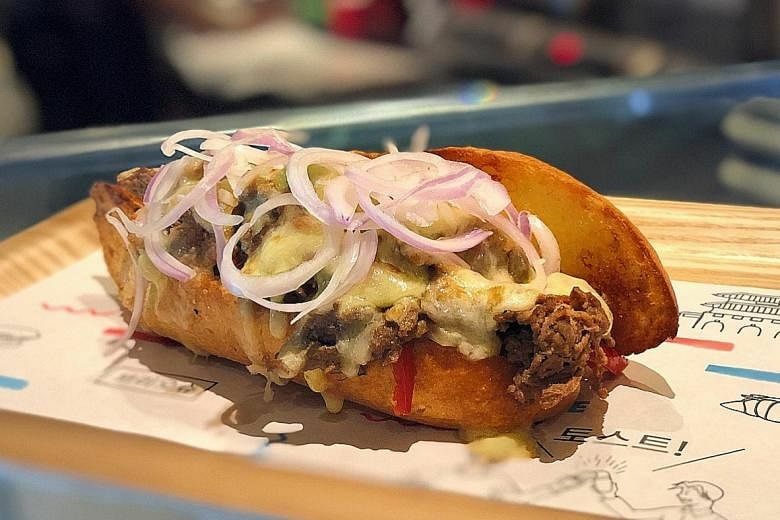 Another successful creation was the Bulgogi Cheesesteak ($8.50). The beef was aromatic and tender and the baguette was almost crispy. When I tasted it, I could almost smell the barbecue smoke on my hair. 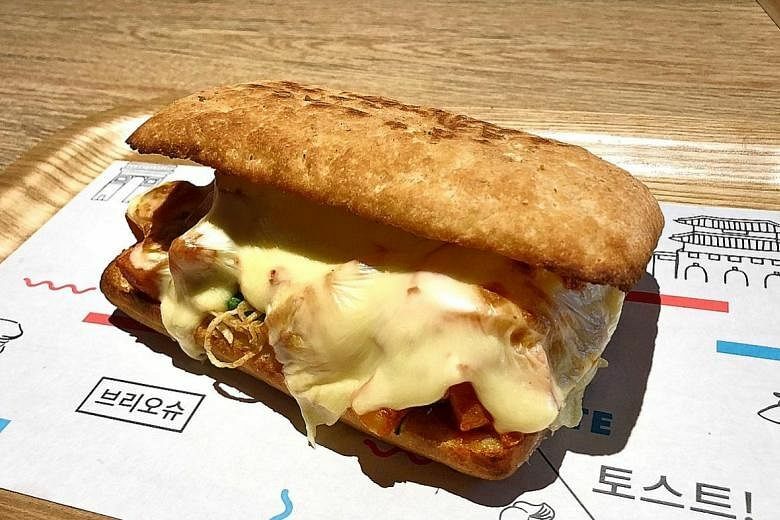 The Seoul Street Toast ($6.50) was made up of layers of omelette (with cabbage, onions and carrots), ham and cheese. It was simple but effective in whetting the appetite. For me, the Kimchi Prawn Cocktail ($7.50) was not as successful as the others. The cold sandwich was pretty, but the filling was a touch salty. I thought the Asian pear would balance out the flavours, but it did not even register.